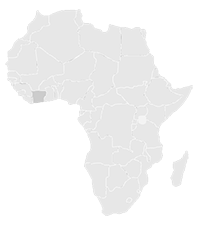 IVORY COAST: Patent Applications | Smit & Van Wyk, Inc.
Patent protection is only obtainable via OAPI. It is not possible to obtain patent protection via a national filing. Member countries have renounced their national sovereignty to convey to the patentee a single title of protection valid in each country. Designation of countries is not required. Must be filed within 3 months of the date of filing. The documents may be filed in English or French. Must be filed within 3 months of the filing date. (if applicable), together with a verified English or French translation. Must be filed within 6 months of the filing date. 30 months from earliest priority date for entering regional phase under PCT. Excessive surcharges are payable for each claim over 10 and additional pages of the specification over 10. The patent has a duration of 20 years from date of filing or the PCT International filing date, with no possible extensions. Annual maintenance fees are payable in advance, calculated from the first anniversary of the filing date or from the PCT International filing date. Maintenance fees for years one and two are payable upon filing the application. There is a 6-month grace period to pay the maintenance fees. 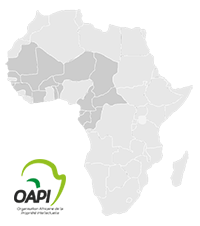 Smit & van Wyk, Inc. patent agents in Africa: Our services include patent filings, maintenance and protection for OAPI. The patent and trade mark attorneys at our firm are dedicated individuals, skilled in their fields of practice, and can provide clear advice on complex legal matters to clients from all over the world.